story of an unlikely protagonist and how his plans to ruin Christmas get innocently challenged by a little girl. The film has been long anticipated with its release date having been pushed back until November 9 th, 2018, now only three days away! The film takes place in Whosville, a cheerful and quaint town filled with holiday spirit all year round! 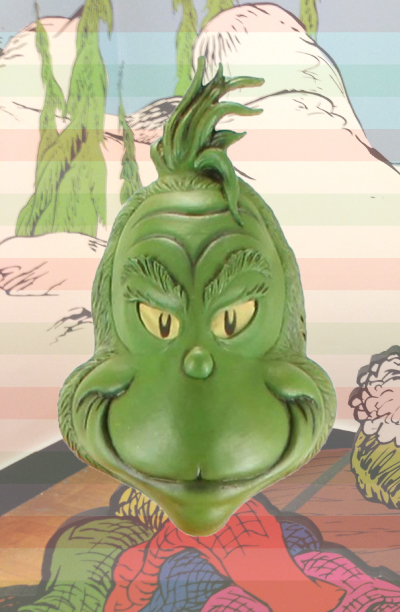 For those who call Whosville home it is a happy paradise tainted only occasionally by the green grumpy man known as the Grinch. Take a step into the shoes of one of your childhood antagonists and embody his transformation throughout the story to create lasting memories for friends and family! Christmas parties and events, but also for theater showings, and tv and film! The mask is also sold separately to be paired with your own Santa suit if preferred. 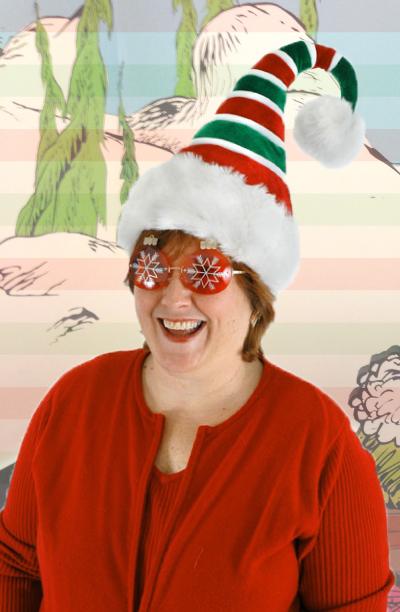 If something a tad more subtle is your style, we have Grinch Santa Hats and Beards, Grinch Gloves, and Grinch glasses, allowing you to personalize your appearance before you grand reveal. Also, to appeal to the younger fashion savvy generation, a fuzzy Grinch Hoodie hat is also available. For a group ensemble be sure to dress a handful of friends as members of Whosville with the Tall Curly Q Holiday Hat and the Ridged Red and Green Santa Hat! 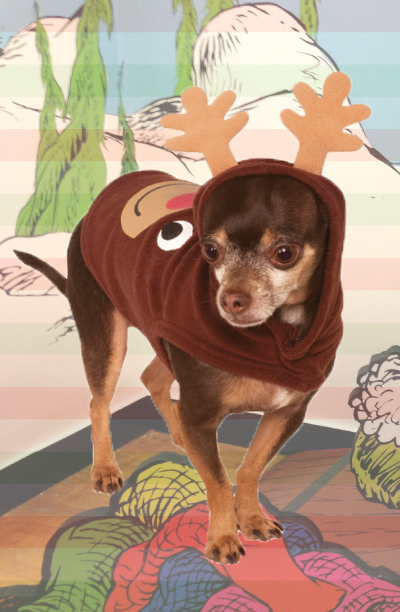 Even your puppy can join in on the fun with the Reindeer Hoodie Pet Costume allowing them to take on the role of the fat reindeer Fred. No matter what you decide, after you finish the movie one piece of advice will stick with you. Scheme big!